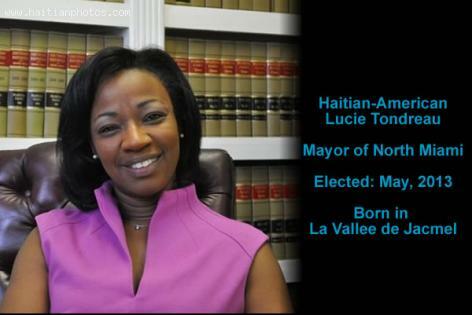 Here is a picture of the Haitian-American Lucie Tondreau who became the first Haitian woman elected Mayor of the city of North Miami. She wan second round of municipal elections against the former Mayor of the City, Kevin Burns. Lucie Tondreau is from La Vallee de Jacmel. She and her family left Haiti under the dictatorship of Duvalier. She studied in Montreal and then moved to Miami in 1986.